I just finished reading the book Long Way Round. It's by enthusiasts Ewan McGregor and Charley Boorman. Long time friends, their plans to take a ride through Scotland turned into riding around the world and making a TV show about it along the way. 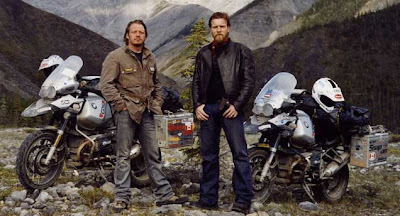 Ewan and Charley rode from London to New York City - going EAST. Lots of trials and near trip-ending moments happened along the way. It's in book form and on DVD. I can't imagine having the time to go on such a great trip as this (3.5 months on the road, with 4 months prep-time), but I would love to experience the magical moments they experienced as they rode through Prague, or outer Mongolia, where the roads just aren't roads, they're muddy bogs. Riding well equipped BMW 1150's, they were geared up for just about every possible incident, except they didn't expect to be so radically changed when they finished. It's a good read, so check it out. BTW - They have since completed another journey from Scotland to the tip of Africa, calling that Long Way Down. 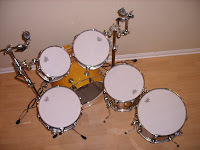 I have two drum sets. I've had one of them ever since I started playing. I got it for my birthday in May of '79. It's a small vintage WFL kit. I have recorded with it tons of times; it may not look like much, but it sounds amazing. Well, usually I have really good luck selling equipment, but every once in a while, I meet an almost supernatural resistance in selling something. It's like God is saying, "Um, you're not finished with those yet... keep 'em." Unfortunately it takes me about 20 times longer than the average person to decipher God's voice, so I kept them up for sale for what felt like forever. Nothing. Not one serious call. 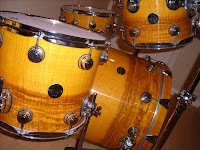 I'm not complaining, these are sweet drums. I just thought they deserved more action. Well, here's to the action they'll see that's apparently on the way. 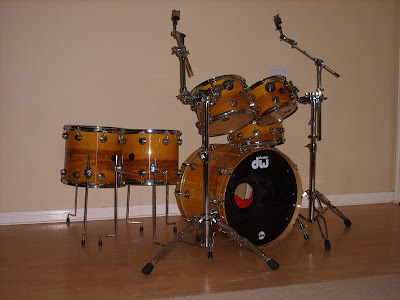 By the way, my wife and kids were sick about it when they heard I was trying to sell the DW's - they're very pleased that they didn't sell, and that I've decided to keep them. Maybe I should have listened to them in the first place. UPDATE: 07-03-08 - Got these sold today. My guess is that God knew I need the money more right now than when I was first trying to sell. It's all good. I recently watched a movie I saw back when I was just a wee tyke. 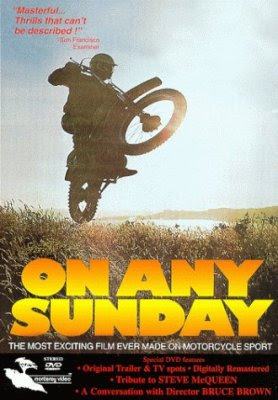 "On Any Sunday" is a documentary on various types of motorcycle riding and racing, and in my opinion, still captures the heart of why so many people place themselves at risk to ride; for the sheer joy of it. The motorcycles may have changed since the film was released (1971), but the love for the sport is bigger than ever. The man who financed the movie, Steve McQueen, a.k.a. the king of cool, also starred in it. He was a motorcycling aficionado and had a lot of racing experience. He was once a top-ten ranked amateur dirt track racer. Early in pre-production, director Bruce Brown contacted him about putting up the money. McQueen replied that his company made films, they didn't finance them. Brown replied with, "Well then you can't be in it." The next day, Steve called him back and said "Okay, let's make it." 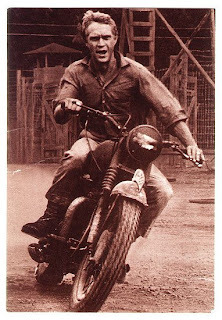 If you're an avid rider, or even merely interested in motorcycles (or ladies, if you are in love with Steve McQueen), you should check this film out. 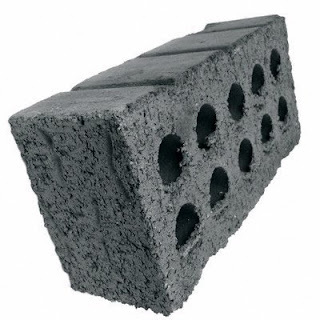 It's loads of fun. Well, I’m days away from the end of another restoration project, and as usual, the toughest issues always seem to come at the end of the project. Some of the original sound sources aren’t useable, which is frustrating, since they usually give the best results. Next, Looney Tunes FAQ's for Mark. 1) Do you get a screen credit for restoring these gems? A: Nope. My name is nowhere near the packaging of these classics, but since all I'm doing is supervising the audio restoration, I don't think it would be appropriate anyway. The credit for these babies still ALL belongs to the original crews who made them. 2) Are they appropriate for my kids to watch? A: In general, yes, absolutely. However, given the era they were produced (the 30's through the 60's), there are a few times when I have to say to my kids, "we don't make fun of indians, do we." Or, "You do know that shooting somebody from that range won't just make them covered with gun powder and mess up their hair, right?" So far, so good. 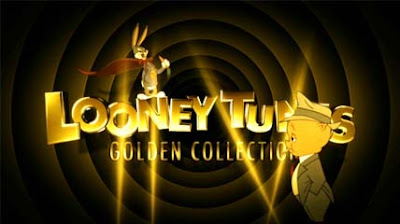 My suggestion: you love these cartoons anyway, watch them with your kids. Then you can explain to them that dynamite isn't really so available in the real world. 3) Did you realize that you have the coolest job ever? A: Yes, but unfortunately my time here is coming to an end. As for what's next? After this project I’m working on a few possibilities, mostly feature film related. As soon as I get a deal signed, I’ll share – I don’t want to jinx it – not that I’m superstitious or anything – although I generally stay away from all ladders, mirrors, black cats, anything with the #13 on it, and fruit smoothies with bananas. 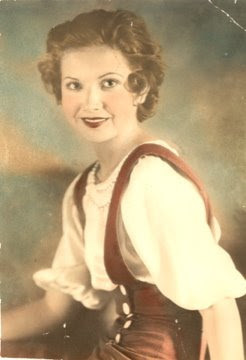 This is a picture of my Grandmother Esther (we still call her Grandmommy). She might be the person able to claim the highest amount of influence over who I am today. While she deserves parades and trophies, a star on the "walk of fame", or any other imaginable accolade, she has gone through life largely unnoticed by the outside world. To me however, she was the one who quit her job to stay at home and keep me while my Mom worked. She fit me in her chair with her while we colored together, and she would genuinely praise my Lincoln Logs homes or car models I haphazardly built for her. Luckily, she is still around, and I have had ample opportunity to tell her of the impact she's had on my life. We've always been close, and will always be. At two weeks shy of 94, she still has the chipper attitude and sweet personality I loved her for as a child. Please pray for her, as she's been struggling hard with health issues. 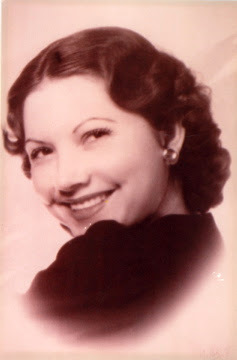 Perhaps one day I'll go into all she's dealing with, but for now, please pray for her comfort and peace. I know she's ready to move on (she's said so), so when that time comes, I will reluctantly rejoice for her. Now, I'd like to challenge you to think of the person to whom you owe more to than you could ever give back. If you can, go and tell them what they have meant to you.